Alphaland is that new establishment built across the Makati Fire station. I would have never gone here if not for my friend who lives right near Alphaland. I didn’t know what to expect until we got to the actual place. I don’t know which photo to be sharing first, Its actually just a cafe with stuffed toys but I enjoyed it so much because of the company I was with. I really think that its a great Idea to have stuffed toys around the cafe, except that I wish they do wash the toys. But the drinks were good for the price we paid, for the small drink it was only Php 125 and that small size was already pretty big. I think this is a good place to meet up with friends and I would definitely go back here not only for the coffee but also for the ambiance. It really gives a cool and relaxing feel, from the color of the cafe to the actual aesthetics of the place. It would be great to come here with friends, maybe not little kids? I did see a few little kids torturing the stuffed animals and although it was cute. This is a place that serves coffee, GIANT desserts and a few sandwiches. It would be great to come here with a few good friends. 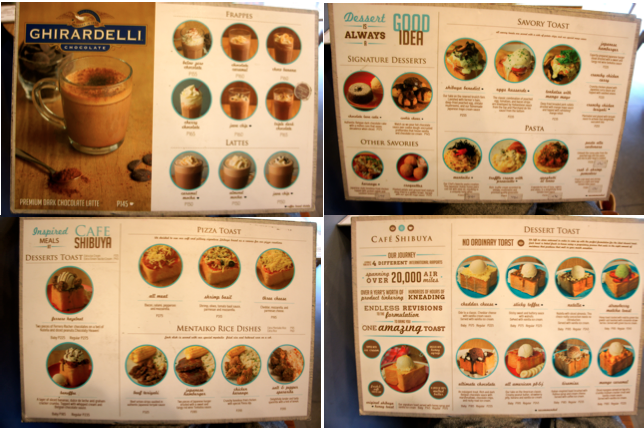 Recommendations: The vanilla latte was really good, I would have loved to have tried one of the big shaved ice desserts. If you are ever with 3-4 or more friends you could give that korean shaved ice dessert a try. As it looks pretty great! This place really reminds me of the small kissatens (きっさてん) in Japan. 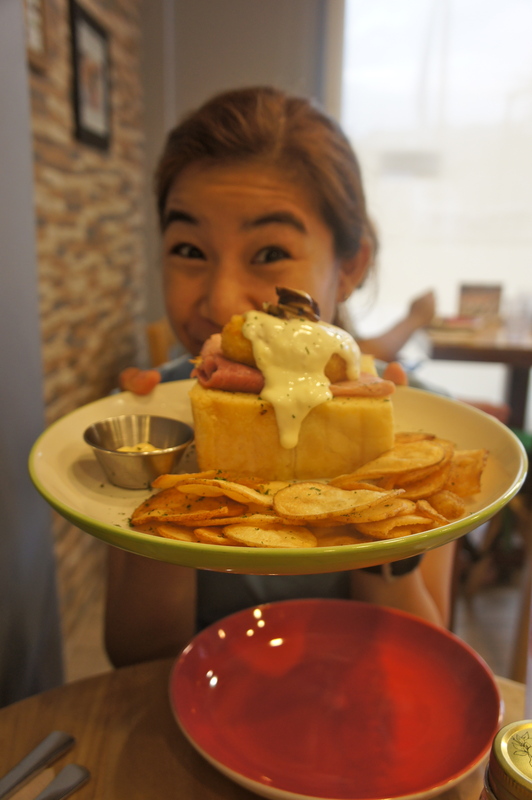 Above is the Menu, I absolutely love this plac e and I absolutely love the toasts here! My friend tried the rice too and it was also good according to her. I have yet to try their pasta as well. 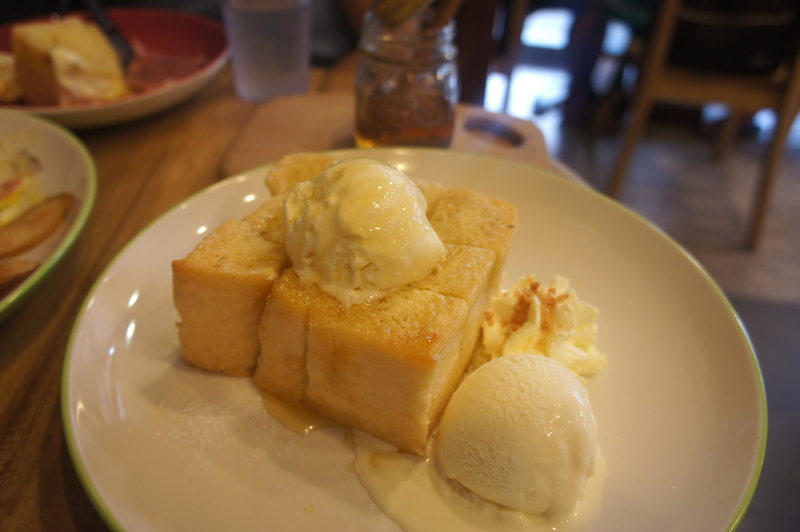 The toast with the butter and the combinations of the flavors that they mix together with the toast was delicious. Of all the toasts I’ve tried my favorite was most definitely the Smoked Salmon on toast. A very quiet and cute place with good food. Its actually quite heavy so one toast would be very much enough to satisfy you. 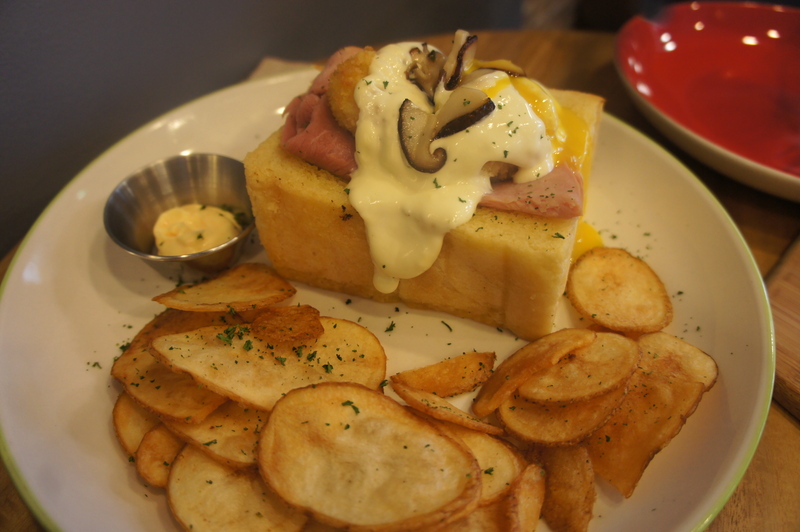 The toast is also very thick, crunchy and at the same time soft which is what I love about it. I cannot wait to try more of their delicious food.